There are no comments for La-007 Town Of Carrollton. Click here to post the first comment. 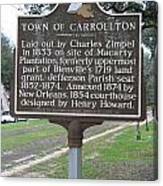 TOWN OF CARROLLTONLaid out by Charles Zimpel in 1833 on site of Macarty Plantation, formerly uppermost part of Bienville's 1719 land grant. 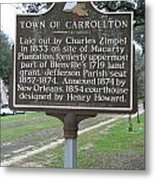 Jefferson Parish seat 1852-1874. 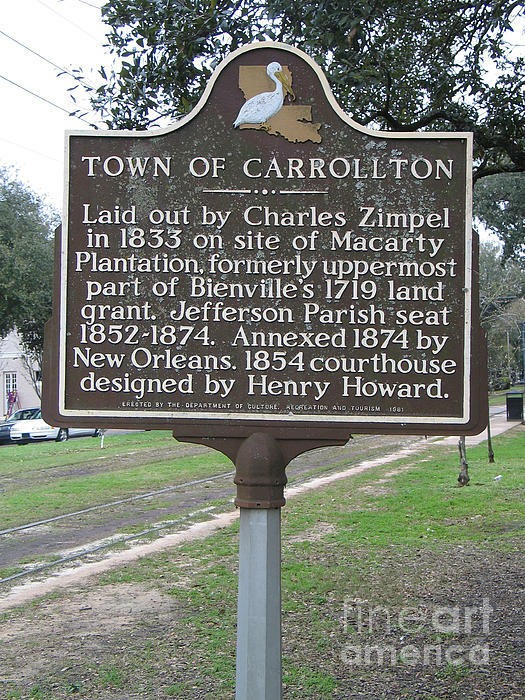 Annexed 1874 by New Orleans. 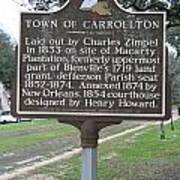 1854 courthouse designed by Henry Howard.Erected by the Department of Culture, Recreation and Tourism, 1981.